Watch Idea Star Singer Grand Finale season 6 live on Asianet dated 22nd December 2012 Saturday from 6 PM onwards. 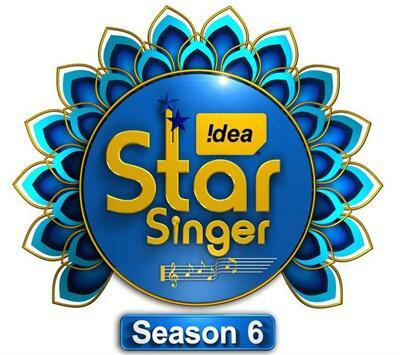 Find answer to Who will be Idea Star Singer Season 6 winner? The 6 finalists are Merin Gregory, Nandu Kishore, Megha Sijimon, Shamshad, Rajeev Rajasekharan and probably Sukesh Kuttan too. You can watch Idea Star Singer Grand Finale season 6 live streaming online on those websites which streams Asianet channel. Idea Star Singer, a popular malayalam reality musical show telecast on Asianet is reaching the final stage with the grand finale scheduled to be on 22nd December 2012. Sponsored by Idea Cellular Limited, the show is aimed to discover the best singer in Kerala between the age group of 15-35 who had to prove their skill in singing and entertainment too. With a shining panel of eminent personalities from music industry as judges, the programme will also have the participation of the audience and public who could vote for the participant who performs well. After different levels of elimination, the top 6 would reach the grand finale competing for the title. After the majestic ride which started on 25th September 2011 with more than 20 participants, the show has reached its zenith walking all the way to the grand finale. The 6 finalists Merin Gregory, Nandu Kishore, Megha Sijimon, Shamshad, Rajeev Rajasekharan and probably Sukesh Kuttan too are gearing up for the mega show which is slated to be held on 22nd December 2012 Saturday from 6 PM onwards at Thiruvanathapuram. Hosted by Ranjini Haridas, the show will have M. Jayachandran, M. G. Sreekumar, K.S. Chithra and Anuradha Sriram in the judging panel. The contestants would perform before a selected audience which will be live telecast from 6 PM onwards. It would be a unique opportunity for malayali television viewers around the globe to witness the grand final which will continue for 4-5 hours. Other than the vibrant performance by the 6 finalists, there will be unlimited entertainment staged by celebrities. Each contestant will give their best ever act singing and dancing on stage. During the time viewers can send SMS to their favourite contestant as voting too counts for deciding the winner. For example, if Merin is your favourite singer do SMS ISS Merin to a given number. For the grand finale, the weightage of SMS is 5% of overall score while the scores of the judges attribute the rest 95% according to Asianet sources. In 2010, Kalpana Raghavendar won Star Singer contest title winning a villa worth 1 Crore with Mohanlal as the chief guest. The mega show featuring the final six will be an eye candy for the viewers which would turn to be a grandiose program to be watched by millions spread in 60 countries. So don't miss to tune into Asianet on 22nd December 2012 from 6 PM onwards. It will be telecast live on Asianet and also on online websites which stream Asianet channel live.